Bass (May 8, 1920 – April 25, 1996) is noted for his company logos such as his double “U” for United Airlines, the bell and globe logos for AT&T and a host of others that have proved their worth by their longevity and, of course, his film titles and posters. He designed the opening and closing titles for Alfred Hitchcock’s “Psycho” and the titles for the recent “Hitchcock” film were, not surprisingly, strongly reminiscent of Saul Bass’ work. Saul Bass also designed record covers, many just using his film poster designs. I have six of his covers (St. Joan, The Man With the Golden Arm, Anatomy of a Murder, Advise & Consent, West Side Story and Bunny Lake Is Missing.) 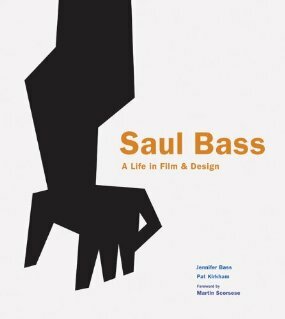 Monocle has compiled a list of 21 of his covers (www.http://rateyourmusic.com/list/monocle/the_album_art_of_saul_bass) and the book referred to above shows a few more, icnluding Elmer Bernstein’s “Blues & Brass” and three “The Man With the Golden Arm” EPs. I’m also a White Stripes/Dead Weather/Jack White fan. Jack White’s favourite designer is Rob Jones (www.animalrummy.com) who designed many record covers and posters for Jack White’s many incarnations. 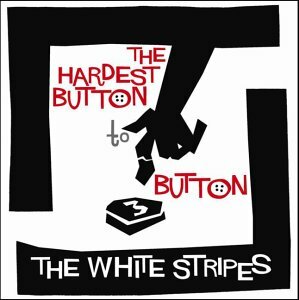 One cover that Rob Jones did not design, however, is for the single “The Hardest Button to Button”, which revamps Saul Bass’ “The Man With the Golden Arm” design. And so on to more Warhol covers. I’ve decided to try to complete my collection of Warhol covers and the first one I came across was Horowitz’s recording of “Piano Music of Mendelssohn & Liszt”. Now I am only missing three of Warhol’s classic covers; “Latin Rhythms” by Arthur Fiedler & The Boston Pops, Johann Strauss Jnrs “Waltzes” and Margarita Madrigal’s “Magic Key to Spanish”. I hope affordable copies become available in the not too distant future. Previous PostThe Smithsonian Magazine has an article on BanksyNext PostPeter Blake will appear on Madness’ special issue of “Oui, Oui, Ja, Ja, Si, Si, Da, Da”.